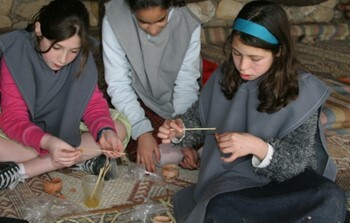 Write a letter in ancient Hebrew script on parchment using a quill and ink. 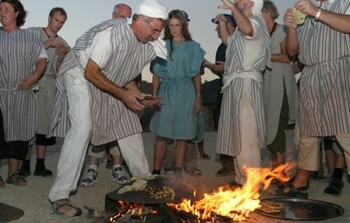 Make your own pittas and bake them in a fire. Create a picture from colored mosaic stones. Mold clay to create beautiful dishes and jugs. 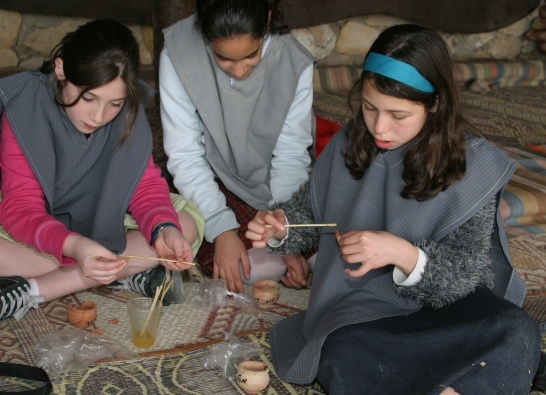 Pottery restoration:Reconstruct a piece of pottery from its shards. 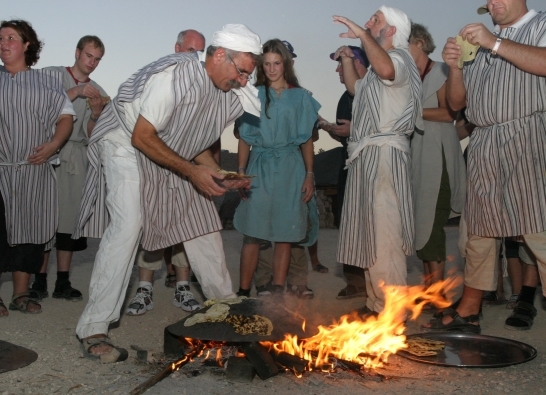 Ancient hospitality Kosher meat or dairy meals, in the tent (sitting on mattresses around low tables). Have you ever tried to imagine our forefathers? What did Abraham look like? What did Kind David do as a young lad? What's common between the two of them, Moses and Jeremiah? 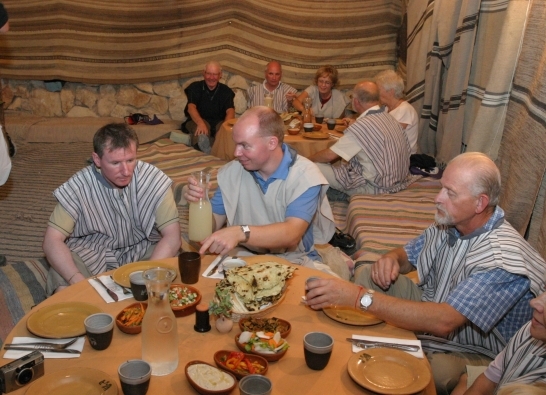 Overlooking the Jordan Valley, Jericho and Genesis Land, watch a magnificent sunset casts its shadows over the Judean Desert, experience a full-moon rise beyond the hills, and join the solitude and calmness with music of your own as you learn the beat of the desert by talented drummers' hands. 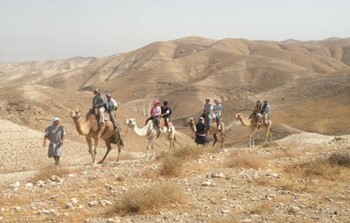 Camel trekking from Genesis Land along the ridge above the spectacular riverbed of Wadi Kelt. Thrilling jeep rides across the endless desert landscape. 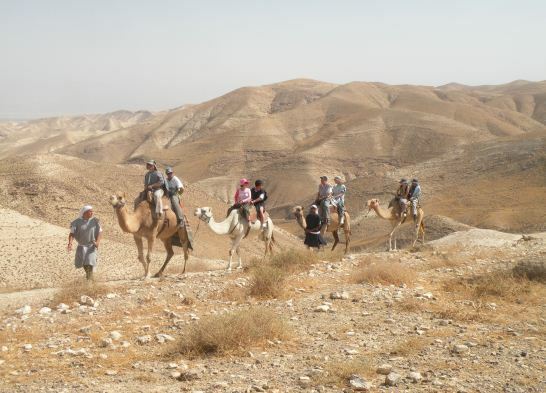 A sample route takes you from Kadar to Jabal Mountar to the Monastery of Marsabah and on to the Horkania Valley. 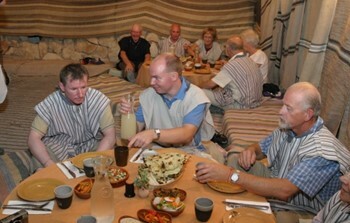 An oasis, a peaceful place with cool refreshing spring and explanations, a short tour and herbal tea.